We're showing information for 49036. Consumers are smart. They will only invest time and money in companies that offer the best products, services, and buying experience. This means that competition in the Michigan region can be intense. Having a fast, reliable Internet connection will set your Coldwater, Michigan up for success. Fortunately, Frontier Business packages give you the Internet access and phone connections you need to quickly reach clients and employees. Business High Speed Internet is just one of the essential services included in these bundles. In Coldwater, the job-growth rate is expected to reach 14.94 percent, so it’s more important than ever that The Great Lakes State businesses have the tools they need to stay productive and communicate effectively. Business owners are not just vying for loyal customers—they are also trying to attract the most talented employees. With a full suite of features to help you stay in touch with your clients, partners, and prospective talent—Frontier’s services for small businesses are designed to optimize your market performance. 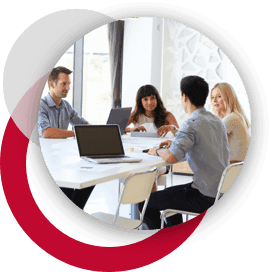 Innovative features like Texting and Conferencing will help you keep pace with the competition, while Frontier takes care of your other needs like Hosting, Web Development, and Managed IT services. A number of Michigan companies are getting larger and expanding their reach. While growth is positive, it comes with a number of challenges that have to be dealt with if a business wants to thrive. Frontier’s Enterprise Solutions can help you maintain stability and continue to grow as your company transitions into a larger organization. Our scalable Ethernet (Local Area Network and Virtual Private Line) systems give you the flexibility and speed you need to meet fluctuating bandwidth requirements and connectivity demands, while our IP Virtual Private Network provides access to digital resources over a secure IP connection. While scalability is important, Coldwater businesses will need to consider other issues to stay ahead of competitors. Frontier Communications keeps you connected to your customers no matter where they are with dependable phone lines and superior sound-quality. With Centrex from Frontier, you get high-quality telephones with advanced features that are easy to use, while we handle all the rest—hosting, network design, equipment, monitoring, and more—so you can focus on connecting with customers anywhere in The Great Lakes State. 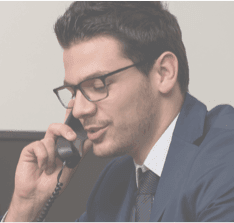 Plus, with our Hosted VoIP solution, you’ll not only be able to count on sharp audio (with Frontier voice solutions), but you also get standard features like Caller ID, unlimited nationwide calling, and Voicemail, as well as new technologies like voice-to-email integration. In every industry--whether it is Health Care, Finance, Education, or Retail--customers want to quickly connect with reliable service providers. The residents of Coldwater, MI have the same expectations. Your customers will expect to be able to get in touch with you over their preferred means of communication, whether that be through email, on the phone, or in person. Keep both current and prospective customers happy by making that step easy. When you sign up with Frontier in your area, you get dependable customer service and advanced infrastructure and equipment. Plus, Frontier's services are customized to fit your industry, so you'll be a step ahead of the competition. There were 0 cybercrimes reported in Michigan during 2013. Take steps to be sure your company won’t be part of next year’s statistics. Frontier Secure offers a variety of tools that will protect your business and your data, including dependable technical support, malware and virus protection, and cloud backup. You can count on tools that will protect your digital assets, but that’s not all. Frontier also has a variety of equipment replacement programs available to Michigan business owners. On top of that, Frontier in Michigan provides Internet connections that can reach up to . With a quick Internet connection, you won’t lose time waiting for websites to load or waiting for shared files to download—instead you can use your time to communicate with your customers and expand your business.